We were thrilled to host the recent ‘Game Changers’ dialogue last Thursday evening at our Marina One Centre. Here at JustCo, we aim to bring together a community of like-minded thinkers who can benefit from the insight of industry experts, and this time we set out to answer the question: How can businesses use technology to effectively reach out to their consumers? 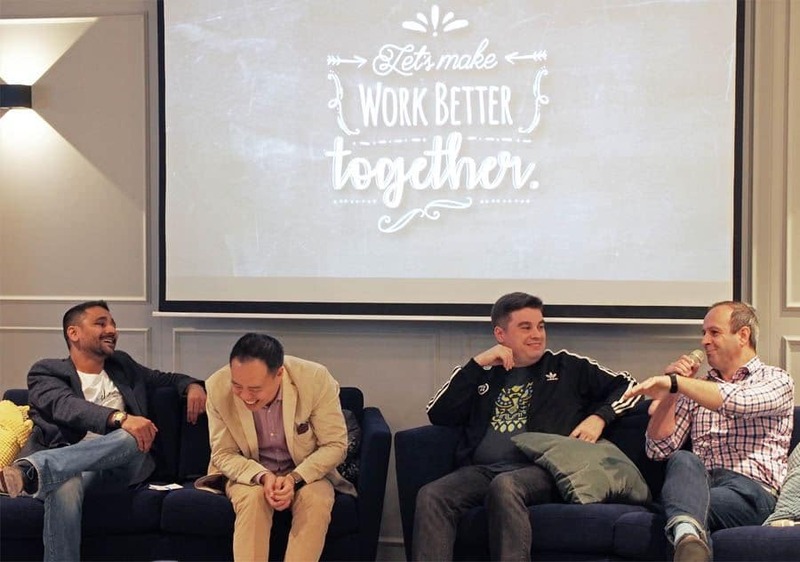 Seated on a plush sofa, we welcomed Malcolm Koh from Zendesk, Michael Langner from Twilio and Shannon Dix from Accenture Interactive. These three companies, with their distinct functions and entities, are all out to achieve a common goal: To change the game in consumer engagement. 38% of customers would switch to a competitor if they were unhappy with their communication experience with a company. Customers want seamless communication. They want companies to communicate with them using the channels that they prefer, not the other way round. While this does sound a lot easier said than done, Michael mentions Twilio having to move from various platforms such as voice call, SMS, video and finally social media channels to interact with their customers. It definitely involves a lot of trial and error. In terms of building a company of like-minded employees, it’s all about setting up a good culture from the start. When hiring people, make sure they fit into the company’s culture. Do not be afraid to reach out and organize events to look for talent. In terms of keeping your talent, always give your employees the right benefits, tools and support that they need to scale up. This ensures that they will not want to leave when offered another opportunity. If you found this insightful, check out our Facebook page here for more events just like this. If you’re swinging by with your colleagues, do remember to RSVP ahead!